Mining became unprofitable in the Eastern Ore Mountains much earlier than in the western parts. Thus, the forests recovered from over-harvesting and nature’s beauty was restored. 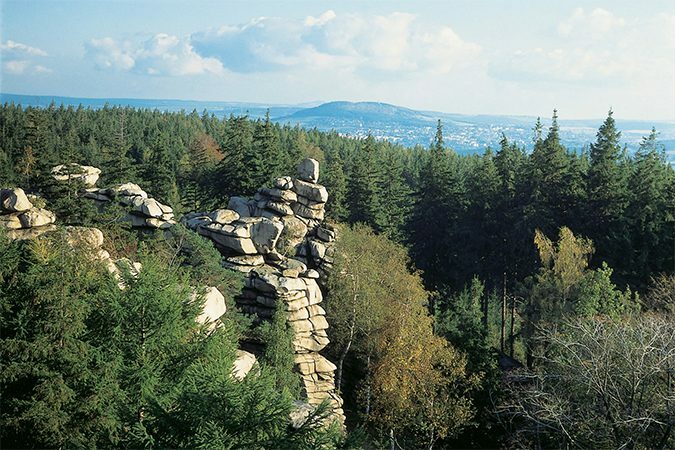 From Altenberg, one of Saxony’s top winter sports resort, where daring visitors can take a ride on the famous bobsleigh run, to Seiffen, where the nutcracker and the smoking man were invented and are still made today, the Ore Mountains present themselves in their most scenic form. The houses in the small towns and villages are covered with black shingles and the curvy roads offer ever-changing impressions of nature. 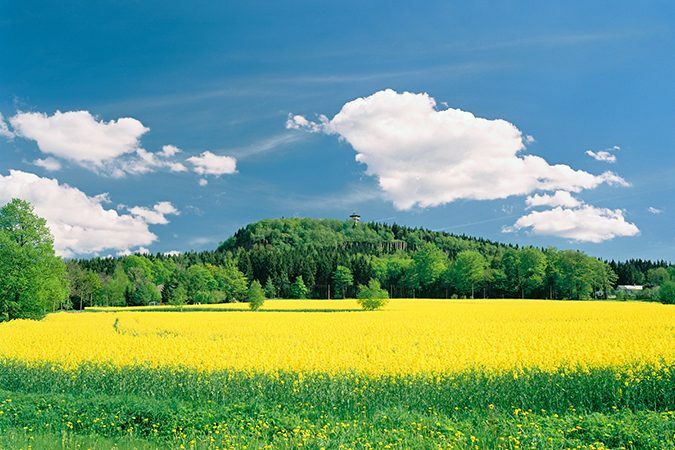 Travelling along the Silver Route is an excellent way of exploring the rich heritage of the Ore Mountains and the customs of the local people. 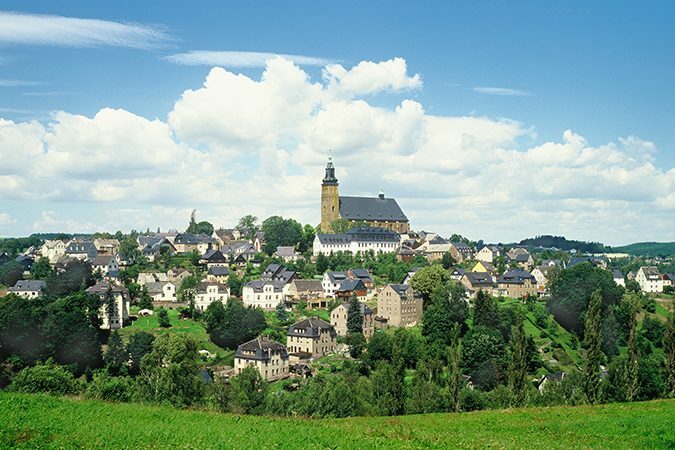 Sometimes described as Europe's biggest open-air museum, it ties together countless striking testaments to eight centuries of mining, ancient mining towns, fascinating museums and captivating religious buildings. The Silver Route leads from Zwickau, where Audi was founded, to Dresden, where the Green Vault treasury museum is testament to the riches coming from the Ore Mountains. 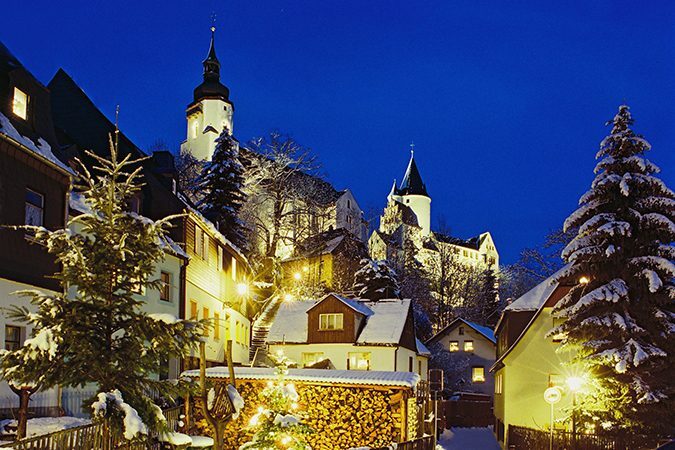 In the Ore Mountains Christmas has always played an important role. For the miners who spent most of their days below the surface in the dark, the festival of lights had a great appeal. Thus, traditions evolved which are unique to the region and can be still witnessed today. Later, when mining had declined, the development of Christmas-related wooden products generated new income while still harking back to the past. So candle arch and pyramid are respectively symbols of the entrance to the mine and the head frame of a mine, and the candles are reminiscent of the miner’s longing for light. These products are manufactured in many places of the Ore Mountains, but Seiffen is known as the German Christmas capital.